Published on August 22, 2011 in Culture, Features, General T&T and Religion. 4 Comments Tags: African, Selwyn R. Cudjoe. A writer does not write in isolation nor does he always know for whom he writes. A socially-conscious writer, as I see myself, always writes with a purpose. Sometimes it’s to entertain; mostly, it is meant to educate oneself and his public. From that mix one cannot remove the sheer bliss that one finds in writing and yes, even the pleasure of seeing one’s name in print. Published on August 22, 2011 in Crime in T&T, General T&T, Law, People's Partnership, Politics and Violence. 20 Comments Tags: Crime in T&T, Kamla Persad-Bissessar, Politics, State of Emergency, T&T Govt. As part of the state of emergency announced by the Prime Minister a curfew will be in effect from 9 pm to 5 am for the next two weeks in a list of hot spots. Published on August 21, 2011 in Crime in T&T, General T&T, Law, Politics and Violence. 59 Comments Tags: Crime in T&T, Kamla Persad-Bissessar, Politics, State of Emergency, T&T Govt. The PM said that this decision was made “after much deliberation with the National Security Council and members of the Cabinet,” and that the current crime spree must end. The limited state of emergency is part of a plan using the police and army in response to the “spate of murders over the past few days”. Published on August 20, 2011 in Culture, General T&T and Passed on. 15 Comments Tags: Pat Bishop. 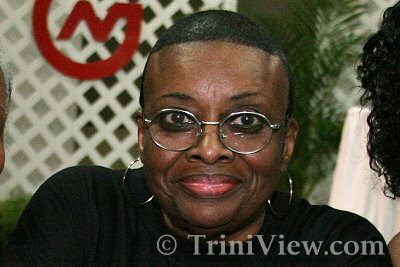 Cultural icon Dr. Patricia Bishop better known as Pat Bishop passed away today, Saturday 20th August, 2011. Ms. Bishop, who attended a meeting with a cabinet appointed committee of high level experts on culture and the arts collapsed from her chair. She died while at hospital where doctors’ attempt to revive her proved futile. The cause of her death remains unknown at this time. Published on August 16, 2011 in General T&T and Health. 30 Comments Tags: Dengue, Kamla Persad-Bissessar. Prime Minister the Honourable Kamla Persad Bissessar has been recently diagnosed with Dengue fever (Classical type). It is the less severe strain. The Prime Minister is now resting comfortably and would like to assure citizens that she is receiving medical care and supervision. Published on August 14, 2011 in Business, England, Finance, General T&T, International, Politics and USA. 2 Comments Tags: Politics, Raffique Shah, T&T Govt, USA. A WEEK sometimes feels like eternity in today’s fast-paced world. When I wrote last week’s column—”Jam Them!”—for which I received lots of jamming, Standard and Poor’s downgrading of America’s credit rating, and the almost instant global fallout, had not yet happened. How was I to know that parts of London and other cities in England would erupt into mayhem? Published on August 9, 2011 in England, General T&T, International, Protest and Security. 58 Comments Tags: Abuse, London, Riots, Selwyn R. Cudjoe, UK. I am in London, a few miles away from where the riots are taking place. Here in central London, one feels untouched by these riots and only knows its effects from what one reads in the newspapers. As I write, the riots continue to take Britain by surprise. It started in Tottenham, then spread to Brixton and Enfield; there from to Walthamstow and Hackney. London’s Independent newspaper described them as “London’s worst rioting in more than 25 years” (August 9). Although business seems to be going on as usual there is an eerie feeling that the police have little control of over what is taking place.